Looks like you are interested in this Classic Black wallet. Do you like special Dutch Designer Items? 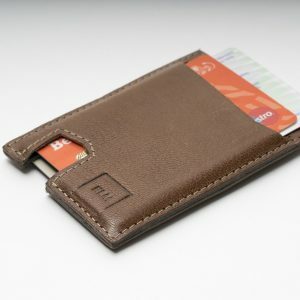 Want to be the first to have a Functional and Sleek wallet? Do you appreciate special quality leather? If it is yes for all three questions, then go ahead and buy it…Since it is special we don’t make lot of them…Black does go well with most of the suits. 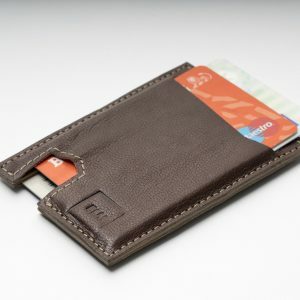 Frustrated with thick, traditional men’s wallets. Try our new design! Ultrathin – Fits easily in front or back pocket. Capacity – up to 6 cards, but snug with less. Push cards – you simply push the cards out from the bottom. Much easier than trying to pull them out from the top. Premium leather – 100% pure leather, traditional tanned, ages well over time. Satisfaction guaranteed. You will love this new, sleek design. Using it for a month now..I love it! !